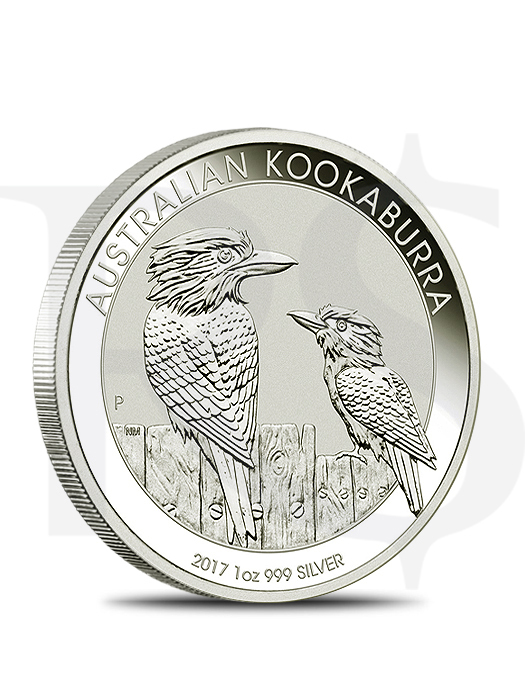 This stunning 2017 1 oz Silver Australian Kookaburra Coin is the next coin issued in the internationally praised Perth Mint series - the Australian Silver Kookaburras. This fantastic coin showcases on its reverse side the newest depiction of the laughing kookaburra, which makes it a desired collectible for any passionate numismatist. The Silver Kookaburra Coin Series was introduced by the Perth Mint in 1990, being the mint’s longest running bullion program. Each year the mint changes the reverse design of the coin by depicting a new image of a kookaburra. The laughing Kookaburra is synonymous with the Australian outback, being the largest member of the kingfisher species, well-known for their call which sounds like echoing human laughter. 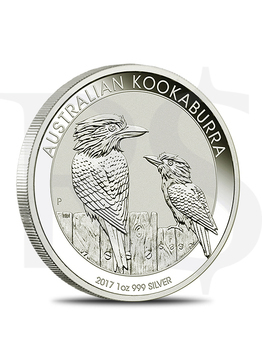 The newest 2017 1 oz Australian Silver Kookaburra Coin showcases a magnificent image of two kookaburra birds perched on a wooden fence, making this spectacular coin a unique addition and a sought-after bullion coin. 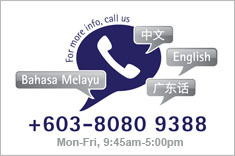 Produced from 1 troy ounce of .999 fine silver. 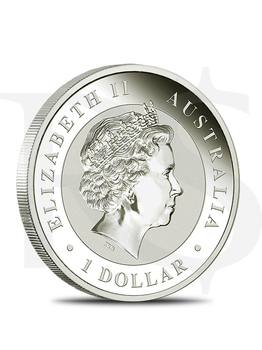 $1 AUD face value coin eligible for IRAs. Weight and purity assured by the Perth Mint. Shipped in the mint’s acrylic capsule.